Jerome Boykin is famous. He became a media darling back in 2007, when he started his sweeping company in the wake of Hurricane Katrina. The young man lifting himself up from the ruins that the catastrophe had left of his plans for the future had already made himself a great American success story within his first two years in business. National and local newspapers and magazines, including Inc. Magazine (July 1, 2007), flocked to the recovering city of New Orleans to interview Jerome about his enterprise. We talked to him recently, to find out how it’s all turned out for him and JB Sweeping, 13 years later. Yes, major news publications across the country were telling Jerome’s story. The media hype featured “thrilling tales of entrepreneurs.” They told of Jerome Boykin Jr.’s “thriving company”. A New York university has since republished one of the articles as a teaching tool on career paths. The many articles written on Jerome during the media frenzy focused on his overcoming the devastation of discovering all of his possessions, as well as his future plans suddenly and catastrophically wiped out. They told of a young man’s experience in the wake of the most destructive hurricane in U.S. history—homeless, jobless, stunned and directionless. 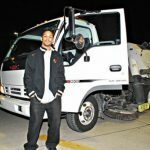 They told of the period after Katrina, when he had found himself stuck at a loss for a new direction and his spectacular recovery to become the owner of a prosperous metro-area sweeper company. In late August of 2005, Jerome was 23 years old and preparing to enter grad school in New Orleans within just a few days from the moment Katrina made landfall and obliterated so much of the city. The hurricane forced him to retreat back to his parents’ home in Houma. Discovering that his plans were effectively cancelled and that his friends had all left the city, he felt lost. He began spending more and more time on his parent’s couch. His resourceful dad identified the sweeping business as a potentially profitable one and suggested it to Jerome. But, then the local Walmart manager told Jerome he was paying the town’s only sweeping company several thousand dollars every month just to sweep the lot at that store. “I was sold then.” In fact, the Walmart manager, dissatisfied with his current service, offered to hire Jerome to sweep the store lot. So, Jerome decided that the sweeping business looked like a great business opportunity. He did some web research, and within a month found a truck for about $75,000. Jerome’s dad, a successful real estate investor, put up some collateral for a loan for Jerome’s first sweeper truck. Jerome would take money and items found on parking lots in to the store managers, who invariably told him he was welcome to keep them. Then, he’d take those found items to the church. At the time of the original crush of media interviews around Jerome in 2007, he already had nine Wal-Mart accounts and was servicing about ten parking lots for various businesses himself every night. So, Jerome drove the hour from Houma to New Orleans every night to check every store lot that his drivers had serviced, no matter how many new accounts JB acquired. Then, he’d drive back home by 6:00-8:00 every morning. The company was already serving customers in eight parishes and bringing in a half million dollars per year by the time that Jerome became a news media star, only about a year and a half after starting his business. Today, JB Sweeping has grown to provide service across much of the southern Louisiana region. Jerome’s hard work, consistency, integrity and good citizenship have all paid off, and can serve as great examples to young people throughout the country of the best way to build a business and a brand without advertising. Today, in 2018, Jerome explains that in addition to sweeping, JB has diversified only minimally, to do pressure washing for some customers every few months. “I get a lot of offers to do landscaping, striping, painting, building maintenance and a lot of other related work. I just refer customers in the right directions for what they need. JB currently has crews servicing both the east and west sides of New Orleans, a crew that works in the Houma area, and one in Baton Rouge. The company’s customer accounts are still primarily large retailers, such as Walmart, Home Depot, Lowes, Sam’s (virtually all of the big retailers in the area) and lots of other retailers, shopping malls, private strip malls, and private property owners. The company’s momentum has continued throughout the entire 13 years since those early interviews. 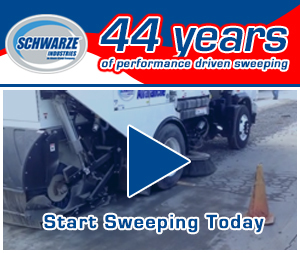 And, to this day, JB Sweeping does not have its company name on any of its trucks, and the business does not advertise. “Since I’ve been in business, I haven’t spent a penny on advertising. All of my business comes from word-of-mouth, which is the best form of advertisement. Because it’s free, and it’s more powerful coming directly from satisfied customers.” Jerome explained that managers of major retail stores, like Lowes, Target, Walmart, Home Depot tell others about the good job his company does. His referral business just keeps growing with each new customer who tells other people about the sweeping service. “I have a waiting list of people asking me to service their properties. 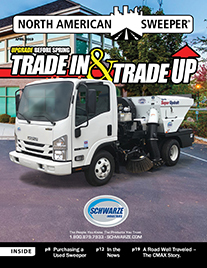 I just take it one step at a time, instead of grabbing all of these contracts before I have the resources to do a good job for them.” Per his established practice, he takes their names and phone numbers, and tells them he’ll let them know when adds another truck. Then, he works this pool of leads by simply calling people on his waiting list when he buys an additional truck, to ask if they still want him to start servicing their lot. Jerome explains that he did design his own website, jbsweeping.com at one point, but lost it when his server crashed, without a backup. But, contrary to the common business prescription, not having a website certainly hasn’t slowed down his business. “If people who haven’t heard about my business are building a new shopping center, when they Google ‘parking lot sweeping New Orleans’, or ‘New Orleans parking lot sweeping’, my name will come up and the articles about me.” Virtually the entire web presence of his business is constituted by free media coverage! Asked what’s the hardest part of running his business, Jerome quickly names what we immediately recognize as the most common problem across the industry, “It’s finding the right type of people to do what I need them to do. When I do find those people, I take care of them, because they’re hard to find. The job requires someone who will show up on time, who is trustworthy, a hard worker, who can execute well. He continues, “I don’t worry about what the competitors are doing. I’m now actually friends with some of my competitors. I get calls from their clients sometimes, but I decline to take away accounts by undercutting. I have a good relationship with competitors; we all know each other. I just continue to do what we’re doing and keep moving. It’s not surprising that Jerome has reasoned that he doesn’t have much to worry about regarding JB’s future. His line of logic is just what we’d expect from one of the industry’s leading regional performers. Jerome’s early fame continued for several years after 2007, due to his spectacular post-Katrina business achievement in the New Orleans area. Now, 13 years later, we’re still very interested in his fascinating story of a young man who stood in the rubble that a monster storm had made of his life and future plans in New Orleans, and decisively turned to so soon make his fortune in that very city. Back in 2007, when he was asked about future possibilities, he was already serving clients in eight parishes, and was ready to expand operations into the Baton Rouge market. He spoke then of the potential of the business two years and five years into the future. He has certainly grown the company to an impressive level over the years since then. He has achieved exceptional growth, all while adhering to what we can fairly call the JB model of operational simplicity—no advertising, vertical revenue strategy (i.e., a non-diversification strategy), personal service, and fearless scaling. 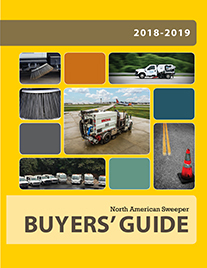 It’s a fascinating footnote to this story about Jerome’s success in the sweeper business that he also did follow his real estate dream, as a parallel business endeavor. 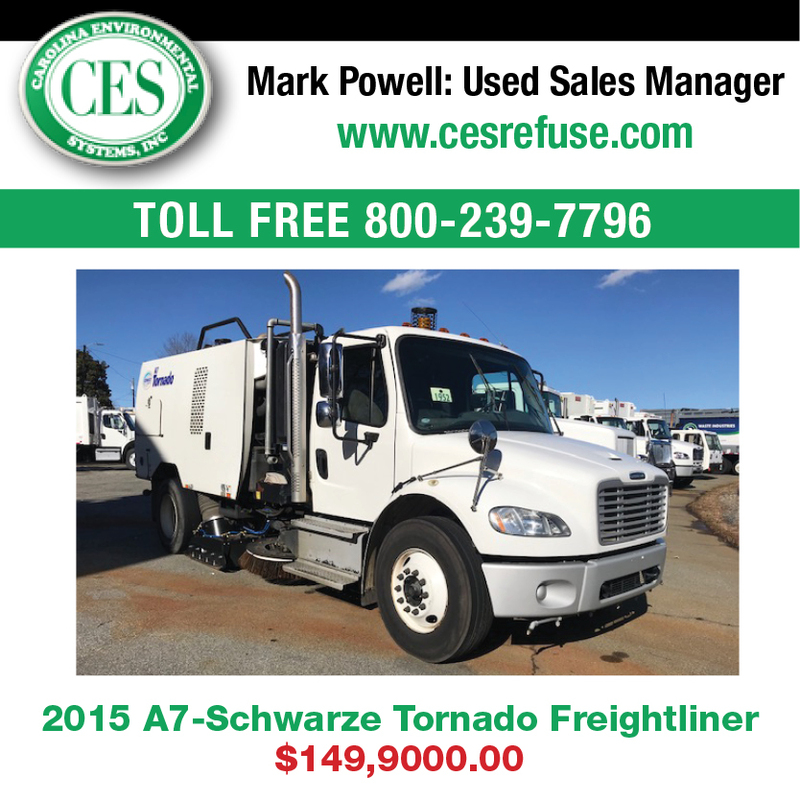 He has built a considerable real estate business in the Houma area, in addition to his regional sweeping business. He currently owns 38 houses. He’s buying another house this week. He recently bid on a small shopping plaza, and he’s planning to bid soon on a couple of apartment complexes. He guts cheap houses in poor neighborhoods and remodels them to create nice homes at affordable rents for families and help upgrade the neighborhood. We can only wonder what will Jerome, the JB Sweeping business, and the whole collective enterprise of Jerome Boykin look like in another 13 years from the time of our interview with him this week in 2018. We’ll look forward to checking back in with this still young business owner, now only 35 years old. The entrepreneurial career of Jerome Boykin is one of the country’s most endearing and interesting success stories. It offers an education for all owners in the industry facing tough challenges or aspiring to grow their businesses. So, of course, news media will continue to follow it.